The following regulations apply to the rental of student accommodation, and are a supplement to the Husleieloven (the tenancy act). The tenancy agreement and regulations for student accommodation in Ås will be taken into account. The board of SiÅs have provided the regulations for student accommodation after having obtained statements from the Student board (Studentstyret - StS) and also the student council (Studenttinget). The director of administration has provided additional provisions to the regulations. The board of SiÅs, in consultation with the Student Board, will appoint an appeal committee of three people to process any written complaints from tenants, under discretion afforded by the allocation of housing. The board of SiÅs will resolve any disputes concerning interpretation of the regulations. Confidentiality will be applied to all personal information received and processed in connection with these rules. Students must have paid their tuition fees and must be registered for a standard program of study at NUMB to have the right to rent student accommodation. A general term for prioritisation and preferences is that all deadlines must be met. Before moving in, the tenancy agreement must be signed, and the first rent must be paid. Tenancy agreements will last for one academic year. The minimum period for renting accommodation during the academic year is one month. The maximum total time any one student can rent student accommodation is five academic years. When entering a new tenancy agreement, the following conditions should be met: (i) rent and other additional fees should be paid on time; (ii) study should be the student's principle activity; (iii) the student should have approved progression of study (in accordance with the requirements of the Loan fund). The landlord can terminate the tenancy agreement with immediate effect if housing is allocated on the basis of incorrect information. Accommodation is shared out according to application deadline and seniority. Seniority is determined by the total number of credits passed at NUMB. Students on a leave of absence cannot presume they have rights to student accommodation during the leave period. Students who take portions of their education outside Ås for more than 6 months have no guaranteed right to student accommodation. Students on sick leave from study must provide documentation. Students on sick leave for more than 6 months have no guaranteed right to student accommodation. Students who postpone their studies must provide documentation from their academic department. Applications for sub-letting or access to the property by persons other than in the application, must be submitted in writing. Godkjenning kan nektes dersom forhold med tilknytning til boligens formål eller vedkommendes person tilsier det. Under exceptional conditions, the director of administration may choose to waive the priority order. Everyone registered to a regular programme of study at NUMB, starting at Ås at the beginning of the autumn semester will, if at all possible, be guaranteed a room in the Pentagon furing their first year of study. Students who start their first year of study in Ås midway through a semester can only guarantee a room if they pay rent from the beginning of the semester. 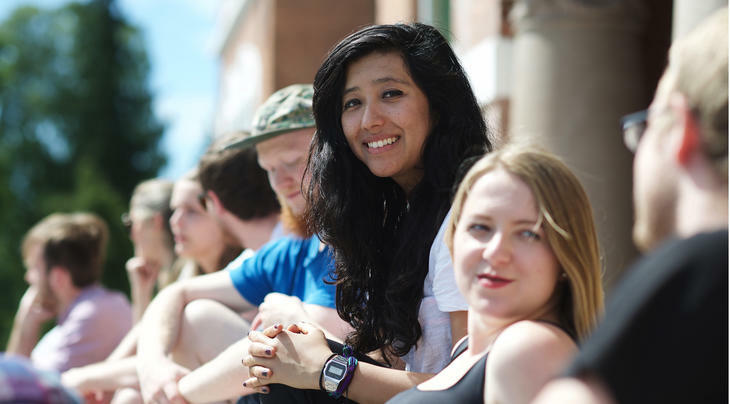 SiÅs and StS draw up a priority list each year for students not in their first year of study. SiÅs will, as far as it is practically possible, comply with students' requests about choice of room and shared apartments. The accommodation department allocates rooms between the 1st June and the 10th August. Jubilo 301-312, Inferno 301-306 and Mølla 119-124 are reserved for members of Hankattforeningen st. 1902, Foreningen Hunkatten and Sangkoret Lærkens. Inferno 307-312 are reserved for female students. These apartments and rooms in Studentheimen are exempt from the rules of allocation in these regulations. 5. Allocation of double and family apartments. Double apartments are prioritised for couples without children. If both are registered to a regular programme of study at NUMB, their study points will be combined. If there are equal scores, the priority will be determined by a draw. Rental agreements are prioritised to those with the most study points. Family apartments are for students with children. If both parents are registered to a regular programme of study at NUMB, their study points will be combined. If there are equal scores, the number of children is taken into consideration. To ensure equality, single parents are given priority. Rental agreements are prioritised to those with the most study points. Students on parental leave are entitled to live in their family apartment during the leave period, but no longer than the maxium period of residence. See poing 2.6 above. Students with family members from overseas must submit their residence permit and travel documentation in order to be considered for a double or family apartment. It is not permitted to keep pets (cats, rabbits, guinea pigs and so on) in student accommodation. Applications to keep dogs are handled by the rental department, who also take the decision. Permission can be granted for one year at a time. It is possible to get permission to keep a dog in the following apartments: Skogveien 25a and b (all apartments), Skogveien 28 (apartments 802, 815, 816, 825 and 826) and Utveien 26 (all apartments). Only one dog is allowed per apartment, and a total of 10 dogs for the whole Skogveien / Utveien area. It is possible to get permission to keep a dog in the following apartments in Pentagon: Inferno 001-006, Jubilo 001-006, Løa 001-006, Løa 013-018, Løa 119-124 and the double apartments in Løa 108, 110 and 112. Only one dog is allowed per apartment, and a total of 8 dogs for the whole of Pentagon. Keeping a dog in Pentagon can only be allowed after other residents of the apartment have provided written consent in advance. Dog owners must fix or replace any damages caused by the dog, and is responsible for ensuring that the dog is calm and under control for other residents. In the case that rules about keeping dogs are broken in student accommodation, permission to keep a dog may be withdrawn with immediate effect.